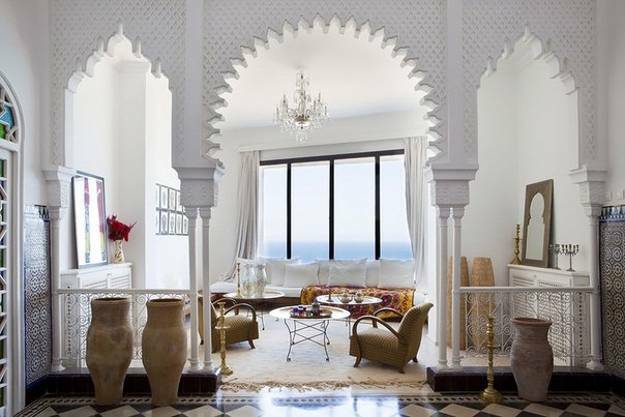 Modern interior decorating ideas that include architectural features, room furniture and decor accessories in unique Moroccan style create a charming and impressive blend of exotic and elegant in living spaces. Moroccan style decor ideas are the perfect choice for eclectic interiors or ethnic interior decorating with African and Arabic flare. 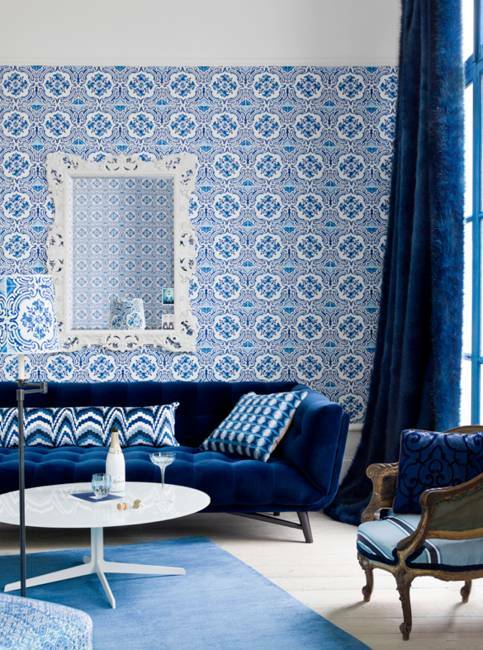 The Moroccan style of interior decorating is one of trends in home decorating in the West, bringing dramatic look, rich colors, spectacular home fabrics and textiles and one-of-a-kind decor accessories into modern homes. 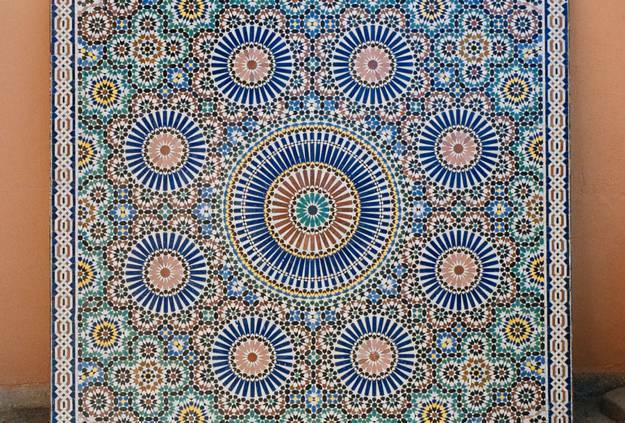 Moroccan interior decorating is fascinating and mysterious. 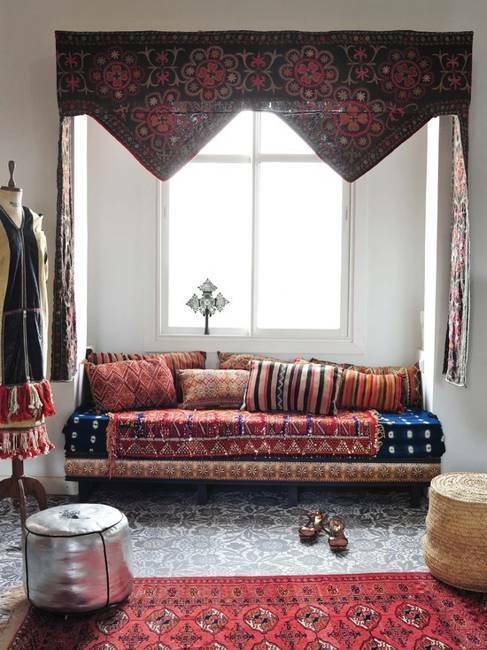 The Moroccan style is influenced by numerous cultures from Europe, Africa and Middle East. 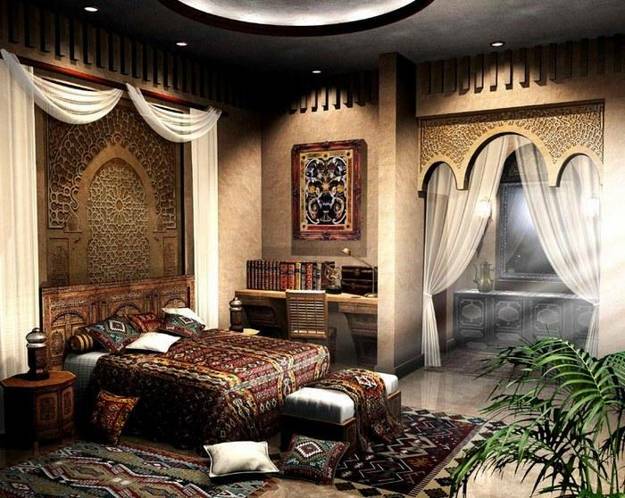 Moroccan interior decor reflects a unique blend of all these traditions and create unique, exotic, bright and comfortable home interiors and outdoor rooms. 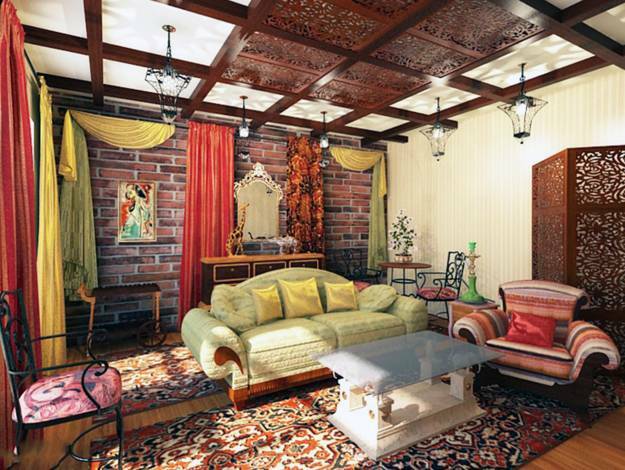 Modern interior decorating in Moroccan style include ideas in French, Portuguese and the Spanish styles and African or Middle Eastern motifs and materials. 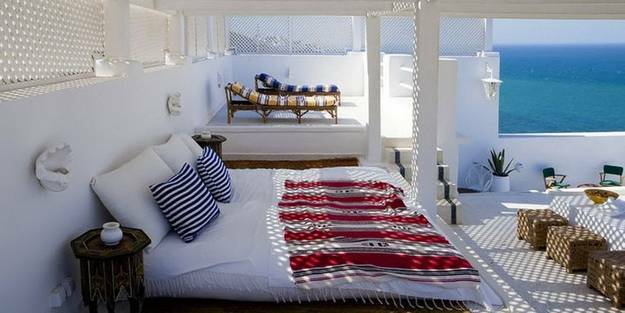 Decor4all collection presents wonderful Moroccan interior design and decorating ideas that may inspire to transform your living spaces. Room colors that are used in Moroccan interior decor reflect the beauty of African deserts and Mediterranean Sea, bring rich hues into Moroccan interiors, and mixing vibrant shades with calming, peaceful and light tones. 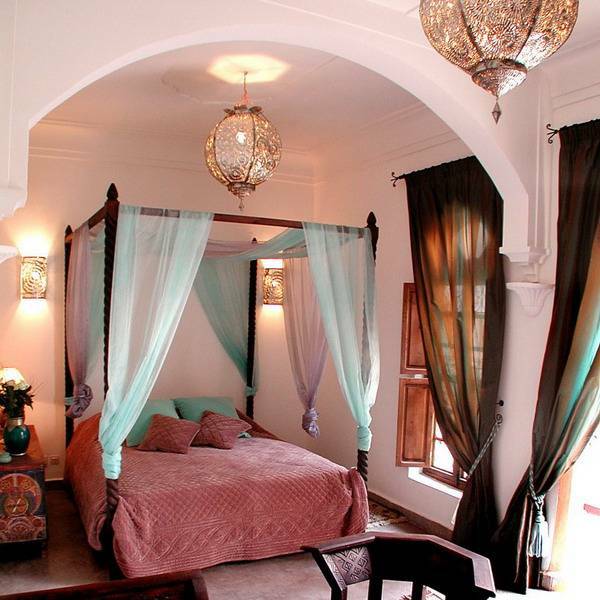 The Moroccan style of interior decorating is not about perfect color combinations. 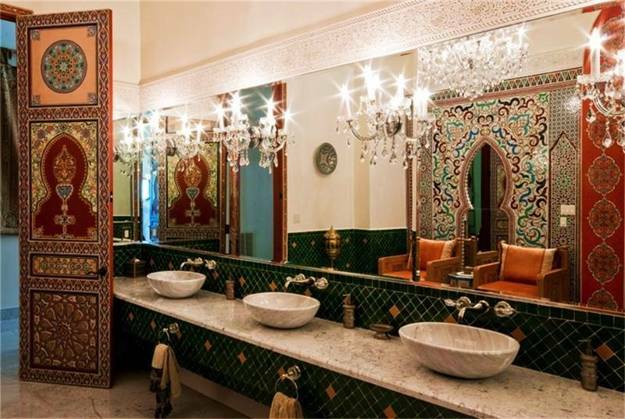 Moroccan interior decorating is sensual and surprising, bright and exotic, ideal for people who want to let go and make their homes a spectacular oasis of colors, textures and handmade Moroccan designs. Rich room colors include orange color shades, ochre, red colors, fabulous blue and green color shades, silver and golden colors. 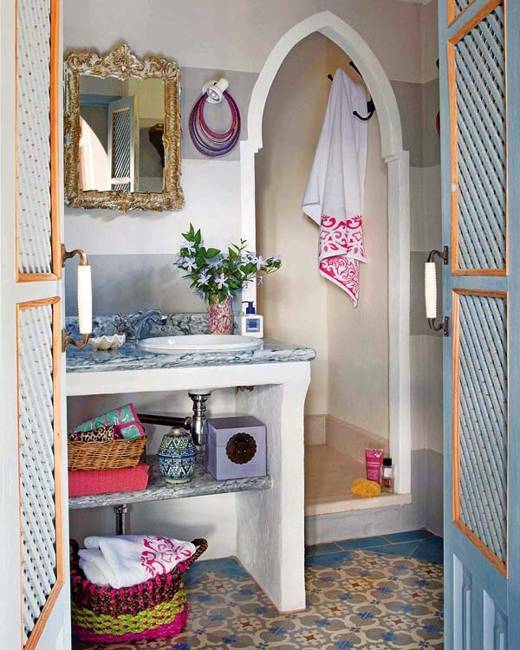 These bright room colors are used to create gorgeous focal points for modern interior decorating in Moroccan style and accentuate unique details. 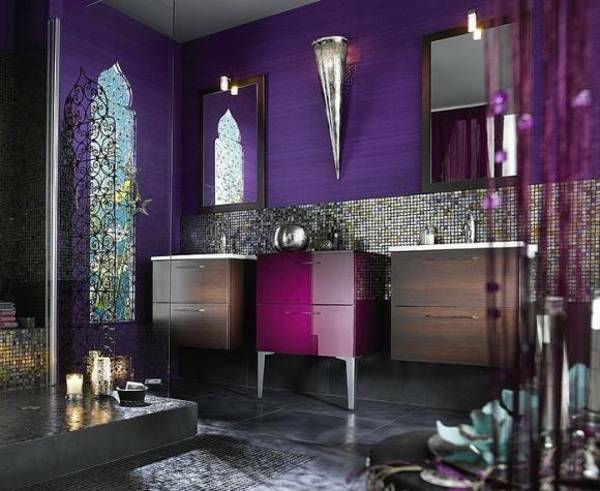 Rich vibrant interior decorating colors are impressive and energizing, expressive and attractive. 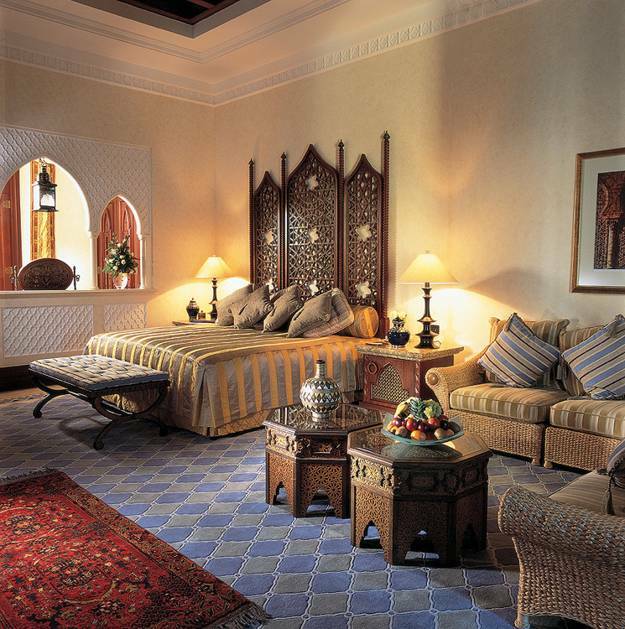 Moroccan furniture is amazing. Made of leather, forged metal, natural fabrics and wood, this furniture is comfortable and unusual. 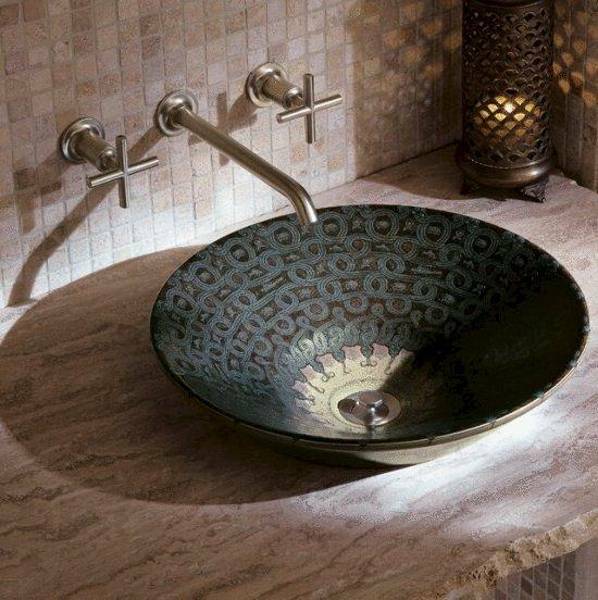 It sets low to the ground, bringing Moroccan lifestyle into modern interior decorating and connecting people to the earth in an elegant and surprising way. Carved wood furniture with a lot of scroll work and mother of pearl inlays look fantastic in modern interiors and beautifully blend with traditional, contemporary and Moroccan style decor. 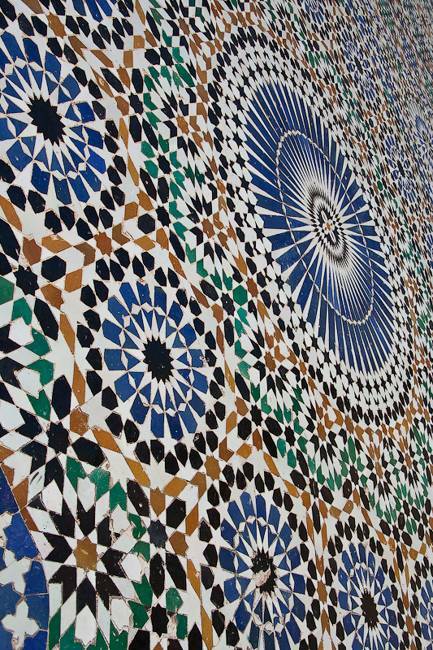 Rich natural fabrics and textiles, ceramic tile and wood textures make Moroccan designs unique and interesting. 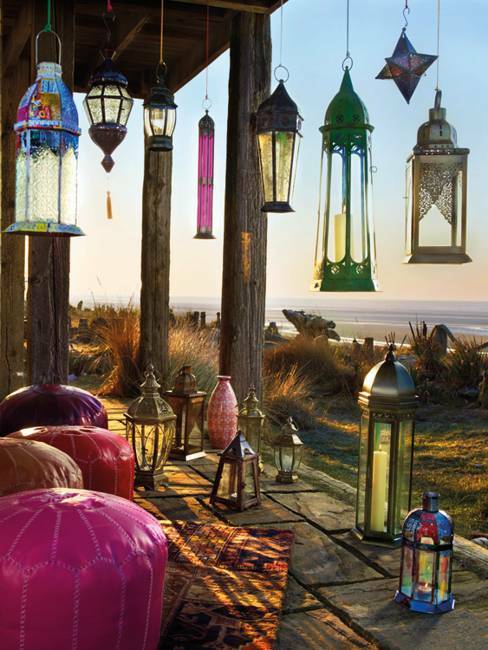 Moroccan decor accessories and ethnic decorations complete the exotic look of colorful and comfortable home interiors and outdoor rooms decorating in Moroccan style. 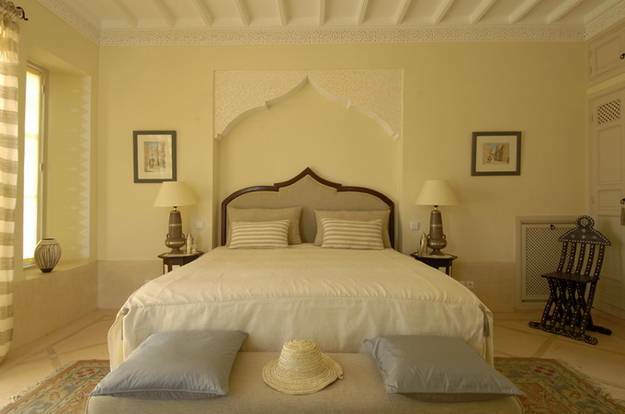 Large floor cushions, Moroccan poufs and throws, luxurious decorating fabrics made with natural fibers, light drapes and canopies adorn Moroccan interior and outdoor living space and create inviting home decor with soft velvet fabrics, welcoming home furnishings and eye-catching decorations. 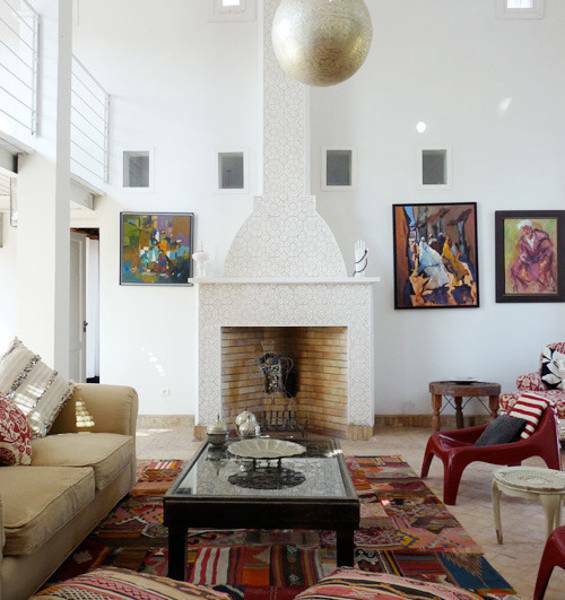 Thick Berber rugs, forged metal Moroccan lanterns and fabulous mosaic tile designs create a truly lavish look and enhance Moroccan interior decorating ideas. 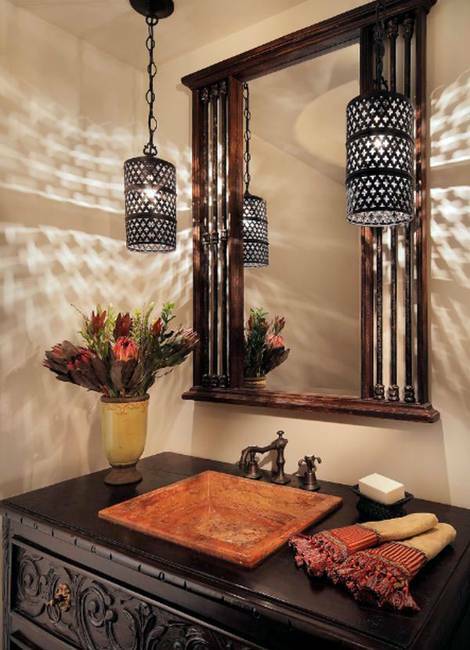 The Moroccan style of home decorating add exotic scents into modern homes. 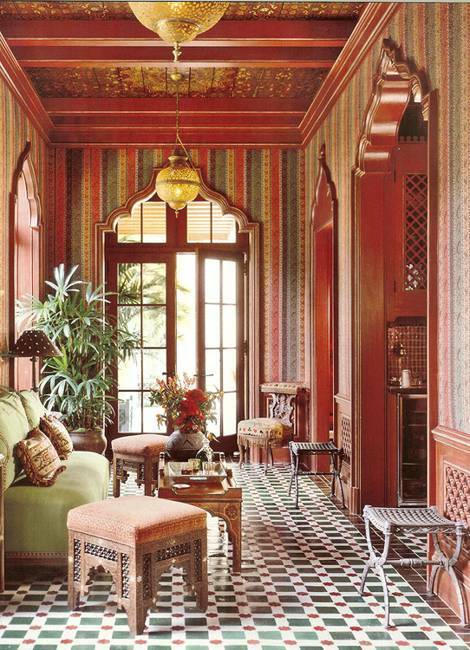 Aromas of African and Mediterranean spices, pepper mint, nutmeg and cinnamon make Moroccan interior decorating ideas feel mysterious and adventurous, like colorful and loud markets of Marrakesh and Tangier.